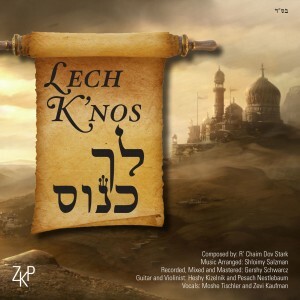 A product of unity itself, this fresh track is a new take on the words of the Megillah, and will be sure to transport you back through time to experience for yourself, the drama and hidden miracle of our salvation in the times of Mordechai and Esther. The music paints the image, let your ears take you there. The song was composed by R’ Chaim Dov Stark Shlit”a, Mashgiach of Yeshivas Aderes HaTorah Yerushalayim, and was produced, arranged, & sung by his talmidim. The story of Purim is the story of seeing Hashem’s hand even in the darkest periods of galus. Klal Yisroel had lost the Beis Hamikdash and had drifted to the extent that they partook in the iniquitous seuda of King Achashverosh. Hashem, in His infinite mercy, sent a “wake up call” to Klal Yisroel through Haman’s threat to destroy the Jewish People. Esther agrees to go in to Achashverosh and beseech him for the survival of her People. “Lech knos es kol hayehudim,” Esther makes one condition: that Klal Yisroel join together for three days of fasting and intense prayer and supplication. “Gather all of the Jews” is her plea, and it is a timeless plea for Jewish unity. The salvation was soon to follow, best expressed by the words, “layehudim haysa ora ve’simcha ve’sason v’ykar,” the Jews had light and gladness, and joy and honor. May we all merit to experience the greatest simcha of all, the end of this bitter galus, with the coming of Mashiach Tzidkeinu, speedily in our days.